Fiji elopement and wedding packages for all budgets. Fiji elopement and wedding packages for all budgets. 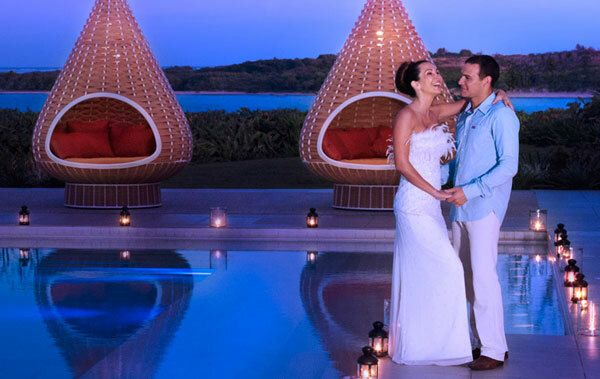 The Sofitel Resort & Spa Fiji is the perfect island paradise to exchange vows with your beloved. 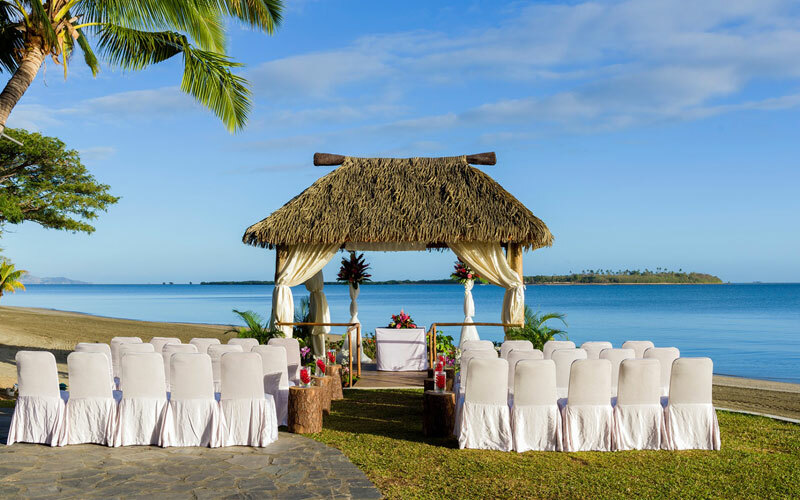 With stunning surrounds and a huge range of facilities within the resort its no wonder the Sofitel Fiji Resort & Spa is such a popular choice for bride and grooms getting married in Fiji. We offer a range of Sofitel wedding packages or our wedding planners can personalise something just for you. After the ceremony you and your guests will enjoy 5-star luxury while delighting in the warm hospitality that the South Pacific is known for. Sofitel Fiji Resort and Spa includes a private beach, swimming pools, four restaurants, three bars, adults-only pool and relaxation area (the Waitui Club), an international health spa, and the largest ballroom on the island. A bustling marina and cultural temples are located nearby. This five star beachfront resort features luxury hotel facilities with an elegant French touch where you’ll experience a holiday in paradise amidst a vibrant local holiday culture. Choose a restaurant to suit your mood ranging from a collection of casual dining to the elegant Salt Restaurant – awarded the Best Restaurant in Fiji. Savour the tropical atmosphere with a chilled cocktail, cool white wine or refreshing juice in one of the resort’s relaxing bars. Sip your favoured drink in a beautiful setting by the pool or ocean’s edge. At the Sofitel you’ll enter a world of health and beauty. Soothe your spirit in the outdoor whirlpool. Indulge your body with a menu of divine spa treatments including Fiji’s indigenous Bobo Massage. Work out in the gym, on your own or with the guidance of a personal trainer. 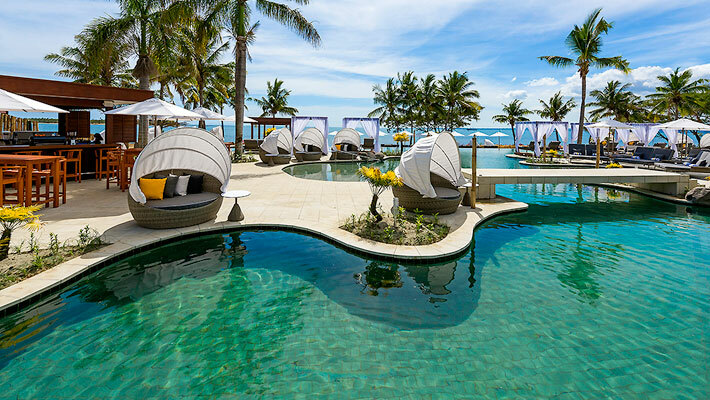 Swim the day away in the Pacific’s largest swimming pool, a gorgeous freeform lagoon-style pool flowing across over 1000 sqm at the heart of Sofitel Fiji Resort and Spa Denarau. It really doesn’t get better than this! Location : The Sofitel Fiji Resort and Spa is conveniently located on beautiful Denarau Island, only 20 minutes from Nadi Airport. This resort couldn’t be more conveniently located. It is adjacent to world class Denarau Golf and Racquet Club and a 15-20 minute stroll to the Port of Denarau (or you may choose to catch the shuttle bus) where you’ll find the largest single collection of quality shopping and dining in Fiji. Denarau Port is also the launching point for travel to the outer islands for snorkelling and diving.